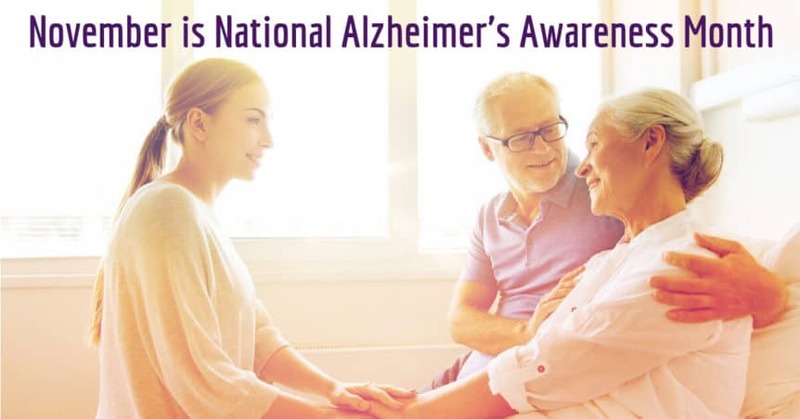 In addition to ringing in the holiday season, November is National Alzheimer’s Awareness Month. Alzheimer’s disease is the most common type of dementia that people can have. It typically affects people who are over the age of 65 years old. The National Institute on Aging suggests that the “number of people with the disease doubles every 5 years beyond age 65. About one-third of all people age 85 and older may have Alzheimer’s disease.” There are in fact younger people who experience what is called early on-set Alzheimer’s, however. Early-onset Alzheimer’s can affect people as early as 30 years old. In the United States, early-onset Alzheimer’s may be affecting around 200,000 people who are under the age of 65. There are several reasons that the researchers think that there is a relationship between hearing loss and cognitive decline, and Alzheimer’s disease, in particular. One of the primary hypotheses relates to overall changes in how the brain functions when hearing loss is a factor. When you are experiencing hearing loss, the part of your brain that processes auditory information can become strained. This can cause changes in how your brain functions overall. Researchers of the aforementioned study suggest that cognitive overload may drive the perceived relationships between hearing loss and Alzheimer’s disease. When you lose your hearing, you and your brain work extra hard to compensate for the loss. The sheer work it takes to devote energy and attention to understanding a conversation right in front of you, or to follow a film that you’re watching, or to simply be in a busy social space can be quite exhausting. As you exhaust energy devoted to hearing, other cognitive functions that you use to be in the world (such as memory) can decline. Untreated hearing loss has long been related to depression and anxiety, in part because untreated hearing loss can make people feel isolated and uninterested in or unwilling to participate in social and public events. When it is difficult to hear it can be really difficult to feel connected to the people and activities you once loved. The feelings of alienation that can arise from this can lead to social alienation, and overall loneliness. While age-related hearing loss may come naturally as we grow older, noise-induced hearing loss is 100% preventable. Consider investing in earplugs that you can wear to work and take to loud events such as music shows or live sporting events. Always cover your ears when loud sirens pass by—and don’t forget to turn your headphone volume down to 60%, and only listen for a maximum of 60 minutes a day. These safe listening habits are part of a larger practice of maintaining a healthy body and mind. For people over the age of 50, an annual hearing test is also an important step in simply tracking your hearing levels, which plays a role in your larger efforts to stay on top of your overall health and well-being. This November, when we gather with our loved ones, it is especially important to remain attentive to your hearing health habits. Scheduling a safe and non-invasive hearing test is the first step in establishing healthy hearing. At Better Hearing Center, our team will work with you to understand your current hearing levels and to discuss any hearing assistance that you may want to pursue. If a hearing loss is detected, we will work with you to find the best pair of hearing aids—and now that they come in many shapes, sizes, colors, and power levels, you are sure to find one that perfectly suits your needs. Contact us today to schedule a consultation! Schedule your FREE hearing test today and let Better Hearing Center make your life better.